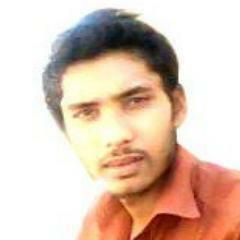 Recently I have come into acquaintance with people of God in Islamabad, Pakistan. From a western perspective through our media, we see and hear all things of ill will in this country. 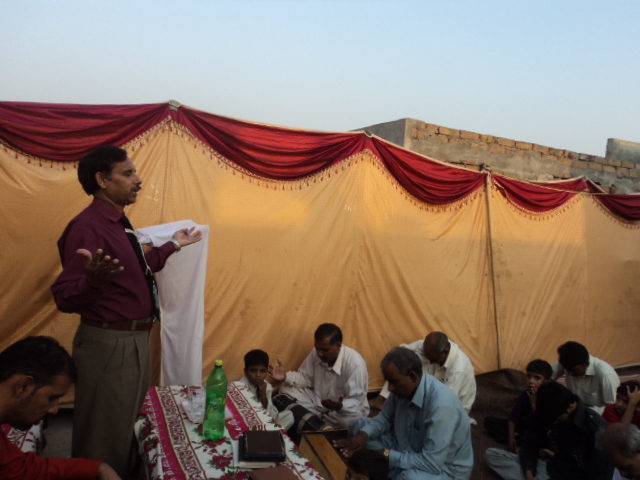 I attest now, God is alive in Pakistan and is fortifying hearts of men who are furthering His kingdom. There is a 96% Muslim population in Islamabad [a] with another 4% who are Christian. It is a beautiful 4% and our prayers and donations will help the evangelical churches grow there. Besides standard needs, Bibles in the indigenous Urdu language are needed. It is best to donate money directly to gnem.org to let local churches purchase what they need. The head of the gnem or “Good News Evangelism Ministries” is Masih Javed. He is the founder and director. His son, Simon Javed, works with him in this evangelical effort of God’s work. I have spoken and interviewed Simon and he has graciously answered a few questions giving insight into his life and life in Christ. The more personal we become with this world, the more compassion drawn from the love of Jesus we avail to people we meet. Please read and learn a little about Simon Javed. Islamabad, Pakistan. Sir, My father is Christian Pastor and I born in Christian family. I have heard the word of God. I know the Lord since my childhood. Is your extended family near you and are they Christian? Yes my extended family is Christian and myself as well. We are all born Christians and know the word of Jesus and our Savior God of Israel. How does someone where 95% of the people around you are Muslim, follow Jesus? following Jesus but only Christians. We are working in Christian community. Is it dangerous to be a Christian in Islamabad? Sir, Islamabad is the capital of Pakistan. We are safe here. No dangerous things are happening in Islamabad. We can do evangelism and work of God freely in Islamabad. What is the nature of your ministry? Good News Evangelism Ministry is a growing Christian outreach covering of over 30 churches in 70 meeting places throughout Pakistan. Special focus is given to extending the Gospel to all, including the needs in both the cities and villages across the nation. Ministries include Discipleship, Pastoral Training, Church Planting, Women’s and Youth Ministries, and Child Evangelism. Bro[ther] & Sir, I am not married and don’t have children. Do you see the possibility of Christianity growing in Pakistan? 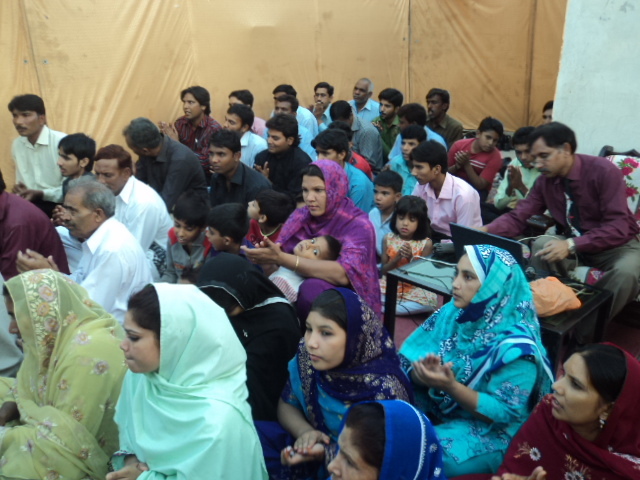 Yes, Christians are growing in Pakistan… not impossible for God….. Although Pakistan is Muslim country but Christians are growing spiritually in Pakistan. Do you trust the word of our Lord that anything is possible through Christ? Yes we believed the words of God…. everything is possible in Jesus name. As it is mention in the Bible…In Christ all things are possible. Do you work closely with your father? I am working closely with my father… I am helping in ministry and evangelism work. Thank you and Amen, Javed. My sincere prayer go out to you, your father, and the Good News Ministry. 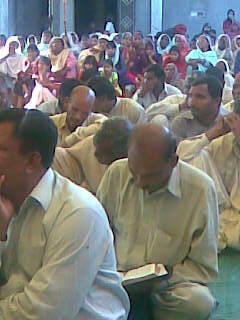 I pray readers will visit gnem.org and give to the Christian Evangelical movement in Pakistan. Be a part of furthering His kingdom. This is the beginning of a world outreach. As the Lord leads, I will follow. Over the next few months pages Pray with me to see what God is doing here.